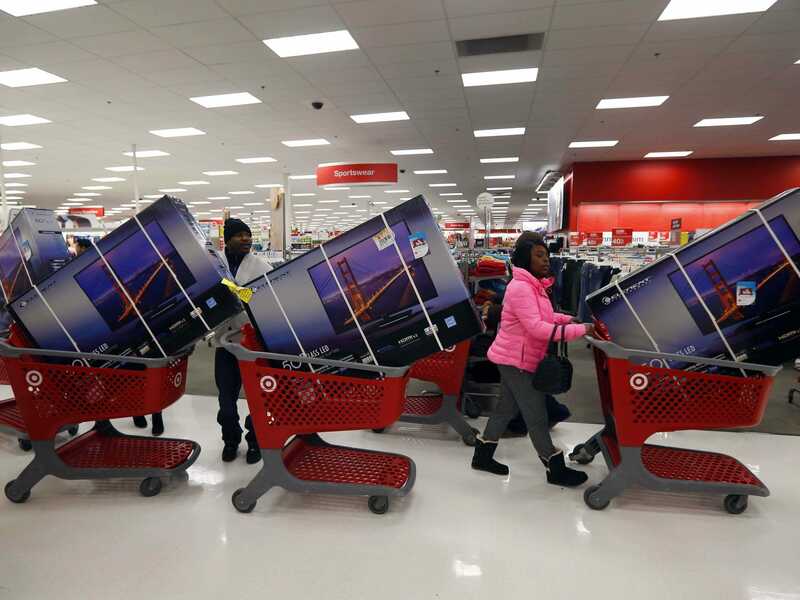 REUTERS/Jeff HaynesThanksgiving Day holiday shoppers line up with television sets on discount at the Target retail store in Chicago, Illinois, November 28, 2013. It’s usually sinks in after the first board meeting. That’s when an investor knows he or she has made a grave error and poured hundreds of thousands of dollars into a startup that’s going to flop. Like any aggressive shopper, early stage investors scour the tech scene for the Next. Big. Thing. Sometimes they encounter a great salesman disguised as a Googler-turned entrepreneur, or an MIT coding prodigy. They get swept up in the story, pressured to act quickly before a hot deal ends, and experience FOMO — Fear Of Missing Out — if they think just a second too long and decide to pass. Inevitably, hot early stage deals force investors to open their checkbooks — sometimes without having done much due diligence. 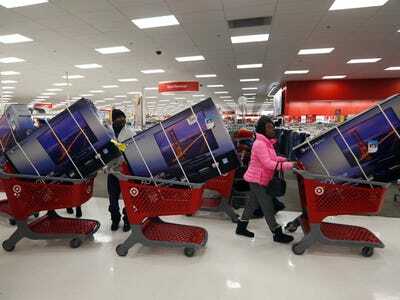 Later, they realise they have made an impulse buy and occasionally they experience buyer’s remorse. Another investor says it can be easy to pull the trigger too quickly, especially if VCs don’t think to ask founders the right questions about their businesses. This person recalled one founder he was in deep talks with, who claimed the average deal size among his enterprise clients was a few hundred thousand dollars. Later, the venture capitalist asked for more details and found that one client was a $US1,000,000+ outlier. Most other clients, on average, were spending around $US3,000. Presenting the numbers that way isn’t technically fraud, but it’s a smoke-and-mirrors tactic some founders use to disguise big issues their startups are facing. And those issues usually become apparent during the first board meeting when an investor’s money has already been wired and can’t be refunded. Dave McClure is an angel investor who puts money into dozens of startups each year. He recounted a time he made an impulse purchase on stage at Web Summit. YouTube500 Startups’ Dave McClure opens up his wallet and hands Spring co-founder David Tisch 50 euros for his startup on stage at Web Summit 2014 during a ‘Pitch Perfect’ panel. “There are moments when we meet someone [and immediately invest],” he stated. “I was in Istanbul one month ago for a conference. We listened to ten companies that were pitching on stage. One of them clearly had traction. It was two guys. I had never met them before. They had a couple million users, they had 20% week over week growth, they were already sort of profitable on a $US20,000 per month basis. They seemed really sharp. Before I flew out, that evening they drove me to the airport I made them an offer on the spot.” That company is now part of McClure’s accelerator program, 500 Startups. While impulse buying — and occasionally buyer’s remorse — is real for venture capitalists, not investing can feel worse. Which is why early stage investors are often eager to take a gamble, even when information is limited. For prolific angel investor Ron Conway, the startup deal passed on and regrets was Salesforce. For McClure, it’s Uber. “Me turning [Uber CEO] Travis Kalanick down in 2010 at a $US10 million valuation is my single most painful story and I think about it every f*cking week,” McClure said on stage. David Tisch, an angel investor who’s also an entrepreneur, knows the feeling. He passed on Zynga and an app that’s currently growing quickly called Yik Yak.